Knowing what we now know about the Heart Sutra we can begin to imagine how it came about. The text was almost certainly produced by a monk because it implies knowledge of the Large Perfection of Wisdom Sutra and this implies written texts that would have been accessible, both physically and linguistically, only to monks. The monk may well have been engaged in copying the text. The monk was, amongst other things, a devotee of Avalokiteśvara. 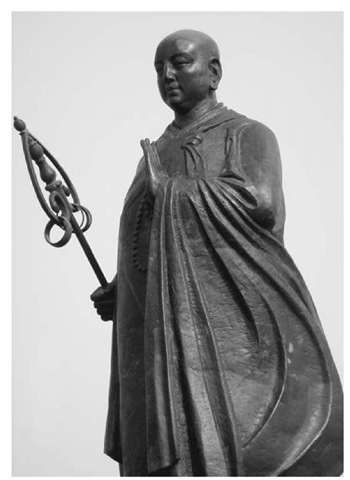 The cult of Avalokiteśvara was widespread in China; however, the various schools of Buddhism were not so distinct as in India. Within a more generalised, less sectarian, Buddhism, any given monastery might have had an area of specialisation without a commitment to a particular Buddhists ideology. 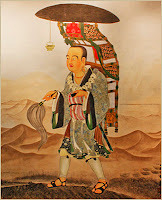 There is no implied contradiction in a devotee of Avalokiteśvara studying the Perfection of Wisdom tradition in the context of early medieval Chinese Buddhism (just as this would not pose a huge conundrum in the UK today). That said, the choice of Avalokiteśvara as the representative bodhisattva has produced a long tradition of puzzled commentators. As he copied Kumārajīva's translation of the Large Wisdom Sutra (T 233), the monk probably noted down some extracts. His notebook might have been paper if his monastery was wealthy. Perhaps he used the back of discarded practice sheets. Or it might have been strips of bamboo bound together. These extracts must have struck the monk as containing the pith or heart of the perfection of wisdom. He learned the lines by heart and began to recite them to himself. Later, using phrases also mainly drawn from the same text, he composed the praises to prajñāpāramitā which follow the main extract, and the introduction featuring Avalokiteśvara, who, for him, was the ideal bodhisattva. The chant began to circulate. As time went on, various positive events and occurrences became associated with chanting the text. It took on the role of charm. Or perhaps it was intended as a charm from the beginning, because we know that magic was and is a major part of traditional Buddhism. In any case, the person who created the Sanskrit Heart Sutra was almost certainly a Chinese speaker who allowed fragments of Chinese grammar to remain in his translation - producing centuries of head scratching until 1992 when Jan Nattier pointed this out. The Sanskrit text was transmitted by being chanted and copied. Finally, in 1948, Edward Conze produced a critical edition of the text in Sanskrit based on a number of manuscript and epigraphical sources. This he revised in 1967, adding new manuscript sources, and again in 1975 for his commentary. However, Conze made some mistakes, and as Nattier identified in the original composition in Chinese, made some infelicitous choices so that the Sanskrit Heart Sutra that most people know is, in fact, in need of revision. Below is a new Sanskrit text which includes all of the improvements to Conze's editions (1948, 1967, 1975) suggested to date by myself and Nattier (1992). I divide the text into 6 paragraphs. This structure is also somewhat different from Conze's as a result of reinterpreting the epithets of the 'mantra'. I've used full stops for the end of sentences and upper-case letters for the first words in sentences, but otherwise tried to keep punctuation and hyphenation to a minimum. This makes no accommodation to the non-Sanskrit reader, but the idea is to produce a text which conforms to the conventions of Romanised Sanskrit. It can be modified for readability later. I hope to publish this result more formally at some point (the first step will be my article on the first para which is currently being reviewed by a journal). My Sanskrit is by no means good enough to claim that what follows is definitive. I know a few Sanskritists read my blog and I'm more than happy to get feedback on my linguistic choices. Ideally, such an edition would be accompanied not only by footnotes with all of the alternative readings from the mss., but with detailed arguments about why one reading is better than another. Some of those arguments have been made in the preceding essays, but a proper critical edition will have to wait until I can undertake the project on the proper footing. In addition, using the catalogue of the Nepalese-German Manuscript Cataloguing Project (NGMCP) I recently discovered that the University of Hamburg has a large cache of late Nepalese mss. of the long text Heart Sutra not used by Conze in his editions. It seems only right that these be examined and considered. The Sanskrit is followed by my own translation, which uses conventions I've established over several years on this blog. In particular, I try to make it clear that the doctrine applies specifically to experience, in contradiction of the long Buddhist tradition which sees the doctrine as describing reality. Although it is possible to extend the domain of interest beyond experience, my belief is that the insights which characterise bodhi arise from investigation of experience. Apart from my idiosyncrasies as a translator, the differences will be much less obvious in translation, since most of the changes to the Sanskrit are, in effect, paraphrases. 1. Āryāvalokiteśvaro bodhisattvo gambhīrāṃ prajñāpāramitācaryāṃ caramāṇo vyavalokayati sma pancaskandhāṃs tāṃś ca svabhāvaśūnyān paśyati sma. 2. Iha śāriputra rūpaṁ śūnyatā śūnyataiva rūpam. Rūpān na pṛthak śūnyatā śūnyatāyā na pṛthag rūpam. Evam eva vedanā saṃjñā saṃskāro vijñānaṃ. 3. Iha śāriputra sarvadharmāḥ śūnyatālakṣaṇā anutpannā aniruddhā amalā avimalā anūnā aparipūrṇāḥ. 4. Tasmāc chāriputra śūnyatāyāṃ na rūpaṃ na vedanā na saṃjñā na saṃskārāḥ na vijñānam. Na cakṣur na śrotraṃ na ghrānaṃ na jihvā na kāyo na manaḥ. Na rūpaṃ na śabdo na gando na raso na spraṣṭavya na dharmaḥ. Na cakṣūrdhātur yāvan na manovijñānadhātuḥ. Nāvidyā nāvidyākṣayo yāvan na jarāmaraṇam na jarāmaraṇakṣayo. Na duhkho na samudayo na nirodho na mārgaḥ. Na jñānam. Na prāptiḥ. 5. Tasmāc chāriputra aprāptitvād bodhisattvasya prajñāpāramitām āśritya viharaty acittāvaraṇaḥ. Cittāvaraṇanāstitvād atrastro viparyāsātikrānto nirvāṇaparyavasānam. Tryadhvavyavasthitāḥ sarvabuddhāḥ prajñāpāramitām āśritya anuttarāṃ samyaksambodhim abhisambuddhāḥ. Tasmāj jñātavyam prajñāpāramitā mahāvidyā anuttaravidyā 'samasamavidyā sarvaduḥkhapraśamanaḥ samyaktvāmithyātvāt. Note that the tradition itself has already clocked the relationship to Pañcaviṃśati. It seems that individual lineages of transmission, or perhaps individual scribes, had considerable influence over title and maṅgala. Maṅgala: the maṅgala favoured by Conze, ࿓oṃ namo bhagavatyai āryaprajñāpāramitāyai, is found in the long texts and in Nepalese mss. Strictly speaking sandhi demands that bhagavatyai become bhagavatyā (ai + ā > ā + ā). Conze's maṅgala is not found in any short text or the Japanese mss. which have this shorter, more common maṅgala. There is no oṃ in the maṅgala because this was an anachronism for the time. Probably oṃ was originally a mis-reading of the symbol ࿓ known in Tibetan as yimgo 'head letter' (See Beginning and End Markers in Buddhist Texts). None of the Chinese canonical versions include a maṅgala. Sarvajñā 'omniscience' is a frequent topic in the Prajñāpāramitā texts. 1. Corrected according to my observation of an error in Conze's text. Specifically, vyavalokyati sma is a transitive verb and has pañcasakandhān (accusative plural) as its object. In other words, Avalokiteśvara was examining the five branches of experience when he saw no svabhāva in any of them. This is consistent with Chinese versions. The correction obviates the need for any punctuation in the Sanskrit because phrase boundaries are clearly marked in other ways such as the placement of caramaṇo and ca. On the translation "five branches of experience" see Pañca-skandha: Etymology and Dynamics. My formal write up of this material, including a detailed comparison of Sanskrit mss. and Chinese and Tibetan canonical versions has been submitted to a journal for review. 2. This passage remains intact, though it is significantly different from the Pañcaviṃśati as pointed out by Nattier (1992). The phrases yad rūpaṃ sā śūnyatā yā śūnyatā tad rūpam are missing from most mss. and have no counterpart in the Chinese canonical versions, thus are not included. Nattier makes the same amendment in her translation (155; 201, n.5; and 204, n.19). In the Pañcaviṃśati, Śāriputra is, in fact, being addressed by the Buddha, though in the Gilgit ms. he is called Śāradvatīputra; this section begins evam ukte bhagavān āyuṣmantaṃ śāradvatīputram etad avocat 'That said, the Bhagavan said to Elder Śāradvatīputra.' The list of skandhas following evam eva is usually a long compound, and the mss. are divided over whether it is itaretara, and thus deserves a plural ending, -vijñānāni (Ja, Cce, Neh), or is a samāhara (an established set) and should take the neuter singular, -vijñānaṃ (Cg). Other alternative readings are -vijñāni śūnyāni (Nelkm); -vijñānāni śūnyatā (Nde); -vijñānaṃ ca śūnyatā (Jb). It seems the majority opt for itaretara and plural, but Conze opted for samāhara. As often as not, Pañcavimśati has vedanāsaṃjñāsaṃskārā vijñānaṃ, but when combining all together has examples of both, viz: rūpavedanāsaṃjñāsaṃskāravijñānāny (Dutt 1.252) and -esu (Dutt 1.148) vs vedanāsaṃjñāsaṃskārāvijñānam (Dutt 1.132). Un-compounding the terms is another possibility. 4. Amended by including na before all negated list items as per mss. : Ne, Nh, Nk, Jb, Ce, Cg. This is more idiomatic Sanskrit. Thus also in the Pañcaviṃśati (Gilgit ms. Folio 21v). 5. Niṣṭhānirvāṇa is replaced with nirvāṇaparyavasānam on the basis of studying Kumārajīva's translation of the Saddharmapuṇḍarīkasūtra via the glossary produced by Seishi Karashima in comparison with the Sanskrit edition by Vaidya. The new version incorporates praises to prajñāpāramitā as vidyā, replacing word mantra with vidyā as per Sanskrit Aṣṭa and Pañcaviṃśati, thereby correcting a paraphrase that was confusing. Satyam amithyatvāt replaced by samyaktvāmithyātvāt as discussed in previous essay. 6. The word "mantra" replaced with dhāraṇī to reflect the nature of the item. Now a standalone chant with a bare introduction as the epithets clearly apply to the previous paragraph, not this one. On the dhāraṇī and my use of 'amen' to translate svāhā see The Heart Sutra Mantra. Colophon. Traditionally, this is where a Sanskrit manuscript names the text. None of the short text mss. have 'iti' the end quotation marker, and thus it is left out here. In the long text this is at the end of the last paragraph and separated from the colophon by elaborate punctuation, e.g. [In the Triratna Order we erroneously incorporate iti into the colophon]. 1. Noble Avalokiteśvara bodhisattva, practising the deep practice of the perfection of wisdom, examined the five branches of experience and saw they lacked intrinsic existence. 2. Śāriputra, form is not one thing and emptiness another. Emptiness is not one thing and form another. Form is just emptiness. Emptiness is just form. So also for sensations, names, intentions, and discriminations. 3. Here Śāriputra, all experiences are marked with emptiness, they do not arise, do not cease, are not soiled, are not purified, do not decrease, and do not increase. 4. Therefore, Śāriputra, with respect to emptiness there is no form, no sensations, no names, no intentions, and no discrimination. No eye, no ear, no nose, no tongue, no body, no mind. No form, no sound, no smell, no taste, no touchable, no mental objects. No eye element, and so on, to no mind-discrimination element. No ignorance, no cutting off of ignorance, up to, no old-age & death and no cutting off of old-age & death. There is no disappointment, no cause, no cessation, and no path. No knowledge. No attaining. 5. Therefore, Śāriputra, because of their state of non-attaining, the bodhisattva, relying on perfection of wisdom, dwells with an unobstructed mind. And because they have an unobstructed mind, they are unafraid and overcome perverse views, culminating in nirvāṇa. Having relied on the perfection of wisdom, all the Buddhas of the three times are fully and perfectly awakened. Therefore, the perfection of wisdom should be known as a great spell, an unsurpassed spell, a peerless spell that allays all suffering because it is true and not false. 6. A Perfection of Wisdom chant goes: gone gone gone over gone over to the other side awake amen. The Heart of the Perfection of Wisdom concludes. 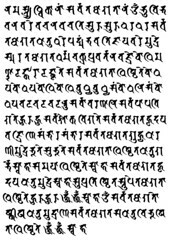 The yimgo character in the maṅgala (and discussion) requires the Tibetan Machine Uni font (PC, download here) or the Xenotype TB Tibetan New (Mac, download here). Unfortunately it's not part of the main Tibetan Unicode block and is not implemented in some of the standard Tibetan fonts, notably Microsoft's default Himalaya. These are useful fonts to have in any case, but there is an image of the basic yimgo in my essay about text markers if readers don't wish to install them. Other Tibetan fonts may include this symbol. Conze, Edward (1948) ‘Text, Sources, and Bibliography of the Prajñāpāramitā-hṛdaya.’ Journal of the Royal Asiatic Society, April 80(1-2): 33-51. Conze, Edward. (1967) ‘The Prajñāpāramitā-Hṛdaya Sūtra’ in Thirty Years of Buddhist Studies: Selected Essays. Bruno Cassirer, pp. 147-167. Kimura Takayasu (2010). Pañcaviṃśatisāhasrikā Prajñāpāramitā Vol. I-1, Tokyo: Sankibo Busshorin 2007. Online: http://fiindolo.sub.uni-goettingen.de/gretil/1_sanskr/4_rellit/buddh/psp_1u.htm [Input by Klaus Wille, Göttingen, April 2010]. This is the third in a series of essays exploring Jan Nattier's thesis that the Heart Sutra was composed in China in about the 7th century. The last two essays have looked at some of the sources for what ended up in the text. The other main issue addressed by Nattier is the question of who translated the text into Sanskrit. I think it's fair to say that this is still a mystery, but the text itself has some clues. Let's begin by looking more closely at some of the Sanskrit phrases. Many scholars by now have noted that the Sanskrit used in the Heart Sutra is rather unidiomatic at times. I can assure you that translating the Sanskrit text as it stands is not always easy! It was perhaps this awkwardness that hid a basic grammatical error in the first paragraph which I discovered at the end of last year. In this essay I outline some Chinese idioms identified by Nattier in the Sanskrit Heart Sutra, and show how this supports her Chinese origins thesis and puts some limits on who could have translated it into Sanskrit. Coming out of this examination are concomitant proposals to improve the Sanskrit text, which will be in next week's essay. In making the case that the Heart Sutra was composed in China, Nattier points to a number of idioms that seem more at home in China than India. For example the phrase niṣṭhā-nirvaṇa is rather awkward in Sanskrit. The Chinese 究竟涅槃 jiùjìng-nièpán is more natural. The last two characters render nirvāṇa while the first two mean 'finally attain' (Nattier has "literally 'ulimate[ly] nirvāṇa"). Nattier comments "[this phrase] is attested in a number of other Buddhist texts, and might well be described as standard (even idiomatic) Buddhist Chinese." (178). Thus those mss. which supplement niṣṭhanirvāṇa, supplement it with a verbal form from pra√āp. But prāptaḥ doesn't make sense because the text itself rules it out. This, plus the fact that many mss. leave it out and Conze himself left it out in his first two versions of the critical edition, suggest that it was inserted later to help make sense of the text precisely because niṣṭhanirvāṇa alone is so awkward. It's extremely unlikely that the text was composed with the phrase niṣṭhanirvāṇa in Sanskrit. When, O Brahmin, my disciples are advised and instructed by me, some do indeed succeed to the ultimate goal nibbāna, and some do not succeed. Note that the verb here is a causative from ā√rādh 'to suceed, attain, accomplish' rather than pra√āp. The Chinese counterpart, Madhyāgama 144, was translated ca. 397 or 398 CE probably from Gāndhārī. In Chinese the verb is 得 de 'get, obtain, etc'. Thus where there is a verb in a similar Indic phrase it was supplied by some Chinese translators. Nattier argues that no one would use niṣṭhānirvāṇa (with no verb) when composing a text in Sanskrit, but that the same idiom is right at home in Chinese, thus the Sanskrit reflects a Chinese original. Recall that, in the case of those sections known to be from the Pañcaviṃśati, the Sanskrit wording has almost invariably changed after going through Chinese. In the next essay we will see that Kumārajīva used the phrase 究竟涅槃 to translate several different Sanskrit phrases, and show that there are several that are better candidates than niṣṭhānirvāṇa. This in turn provides us with possible improvements to the Sanskrit Heart Sutra. Another phrase that stands out is satyam-amithyatvāt. Conze (1975) takes poetic flight in translating this phrase: "...in truth, for what could go wrong", but this is not grounded in the text. Satyam is easy enough, it means 'truth' and being a neuter word is in either the nominative or accusative singular. The preceding phrases are the epithets of prajñāpāramitā, discussed last week, and we might therefore suppose that here satyam is predicated of prajñāpāramitā. That is to say that we would naturally read this as saying that prajñāpāramitā is true. The fact of being true is of considerable importance to Buddhists. The other word amithyatvāt is much more troublesome however. The word mithyā is a contracted form of mithūyā and means 'inverted', or 'contrary' and thus 'false'. The root is √mith which Whitney's Roots glosses as 'alternate and altercate'. The term is often paired with samyañc (from saṃ + √añc 'to bend') which becomes samyak or samyag in actual use. Samyañc roughly means 'to go with' and mithyā 'to go against'. The form amithyatvāt has a prefix and a suffix, and a case ending. We add -tva to create an abstract noun, mithyatva meaning 'a state of being false' or 'falseness'. This is negated by the prefix a- so that amithyatva means 'a state of being true, truthful', however it's typical to retain the Sanskrit morphology and render a word like this as 'non-falseness' or 'a state of not being false'. Finally the whole word is in the ablative case, indicated by the ending -āt, which tells us the reason for the action of a verb (the verb here being a tacit 'to be'). Putting it all together we may say that satyam amithyatvāt literally means 'it is true because of non-falseness' or even 'it is true because of [its] truth'. This is as awkward in Sanskrit as it sounds in English. Nattier assures us that the Chinese version 真實不虛 zhēn shí bù xū is "entirely natural in Chinese" (177). Nattier suggests it means "genuine, not vain". 虛 xū can mean 'false, worthless; empty, hollow, vain'. The suggestion is that satyam amithyatvāt is like the common idiom "long time no see". This phrase is thought to have derived from a Chinese greeting and to retain the Chinese grammar. It may be compared to Mandarin phrase 好久不見 (hǎojiǔ bù jiàn), which can be translated literally as "long-time, no see". However, as I will show next week, this is not in fact an artefact of back translation from Chinese, but the result of a poor decision by Conze in creating his critical edition. There were other options available to Conze from his manuscripts that would have made more sense, despite being minority readings. na cakṣurāyatanaṃ na rūpāyatanaṃ (no eye base, no form base). 無眼耳鼻舌身意 (T 8. 223 p.0223a18.6). It seems reasonably clear that na cakṣuḥśrotraghrānajihvākāyamanāṃsi reflects Chinese syntax with a single negating particle for all of the items being negated. Sanskrit syntax would give each item it's own negative particle as we see from the Sanskrit Pañcavīṃśati. For Nattier the weight of evidence suggests that the Heart Sutra is a back translation from Chinese to Sanskrit. However this is only the most obvious conclusion of her investigation. There is a further conclusion from these facts that Nattier does not explicitly draw, but which is implicit given the facts. The composer of the Sanskrit Heart Sutra was probably a Chinese speaker. For Nattier the main suspect in the mystery of who composed the Sanskrit Heart Sutra is Xuánzàng. He lived at about the right time, travelled to India and learned Sanskrit at about the right time. Thus he had the opportunity and the means. He was also known from his memoir of travelling to India to have been a devotee of the text. Nattier invites us to imagine that Xuánzàng had arrived in India only to find that the Indian monks had not heard of this text. Upon learning the language would he not be tempted to compose a version in Sanskrit? Early in my own attempts to learn Sanskrit, the Heart Sutra was one of the first texts I looked at precisely because it is familiar and concise. As I mentioned in my last essay, an Indian provenance was crucial to the authenticity of a Buddhist text in China. The whole point of Xuánzàng's journey to India was to return with authentic Indian texts. To discover that one's favourite text was not extant in Sanskrit might tempt the most scrupulous monk to compose a new Sanskrit "original". Xuánzàng was unlikely to have composed the Chinese Heart Sutra however. It is recorded that he was given the text. 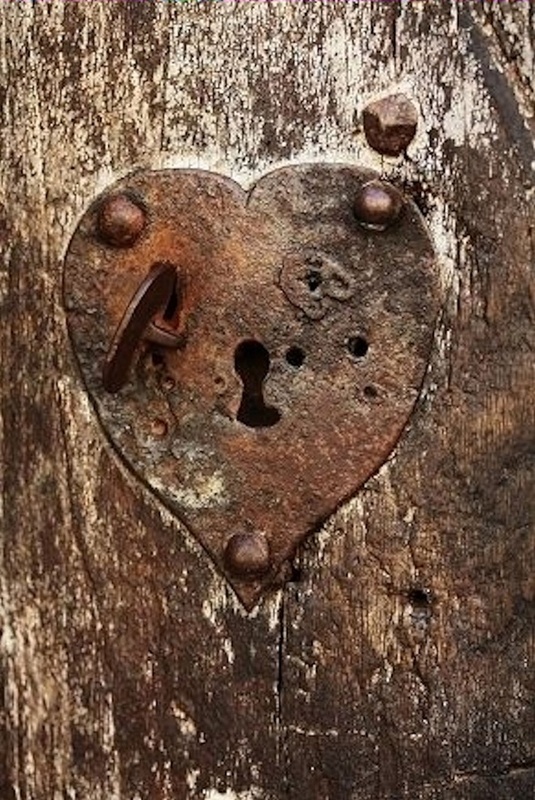 A man who he had cared for during an illness taught him the Heart Sutra out of gratitude (179). It subsequently became a favourite to chant in troubled times, such as crossing the Gobi desert. Xuánzàng included all his translations of the Prajñāpāramitā texts into one huge volume, treating the various texts as chapters. The only translation of his not included is the Heart Sutra. Also the vocabulary of the Heart Sutra (T 8.251) closely matches Kumārajīva's translation of the Large Perfection of Wisdom text in most cases. Given that Xuánzàng led the effort to translate all of the extant Prajñāpāramitā texts, and developed a whole new approach to translating Sanskrit, why would he not use his own terminology? A couple of terms used in the Heart Sutra are distinctive to Xuánzàng. Kumārajīva transliterates the name Śāriputra as 舍利弗 Shèlìfú. Here 弗 fú transliterates the first syllable of putra. Chinese transliterations frequently leave off the final syllable. 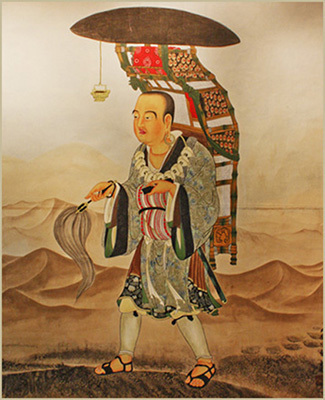 Xuánzàng, on the other hand prefers 舍利子Shèlìzi, replacing 弗 with the Chinese word for 'son' 子.
Kumārajīva translates Avalokiteśvara as 觀世音 Guānshìyīn (whence Guānyīn also spelt Kwan yin), whereas Xuánzàng prefers 觀自在 Guānzìzài. As I have noted before, this change in transliteration reflects a change in the Sanskrit name from Avalokita-svara to Avalokita-īśvara (with sandhi resolving a-ī to e and giving Avalokiteśvara). This change is discussed by Alexander Studholme and involves Avalokitasvara absorbing some of the characteristics of Śiva who is converted to Buddhism in the Kāraṇḍavyūha Sūtra and in the process absorbing the epithet īśvara 'lord', which replaces svara 'sound'. Nattier notes that Xuánzàng's own students tended to retain the more popular form of the name, Guānshìyīn, even when they adopted his new readings of other terms including the name Shèlìzi (216, n.84). These usages are innovations introduced into Chinese Buddhist texts by Xuánzàng. And thus we know that at the very least Xuánzàng, or someone familiar with this work, must have edited T 8.251, and have done so after Xuánzàng learned Sanskrit in India and devised these new transliterations of Indic names and terms. Whoever did translate the text into Sanskrit, they were soon vindicated by the adoption of the Heart Sutra into the pantheon of Prajñāpāramitā texts. In China commentaries were produced from the 7th century onwards. In India a number of commentaries (now only preserved in Tibetan) were written from the 8th to the 11th centuries (see Donald Lopez 1988, 1996). All of the Chinese commentaries are based on the Chinese version attributed to Xuánzàng (i.e. T 8.251), and all the Indian commentaries are of the long text. The split in the dates of the commentaries of East and South Asia, as well as the text they chose to comment on are supporting evidence for Nattier's Chinese Origins thesis. Conze, Edward. (1967) ‘The Prajñāpāramitā-Hṛdaya Sūtra’ in Thirty Years of Buddhist Studies: Selected Essays, Bruno Cassirer, pp. 147-167. Studholme, Alexander. (2002) The origins of oṃ manipadme hūṃ : a study of the Kāraṇḍavyūha Sūtra. Albany: State university of New York Press.